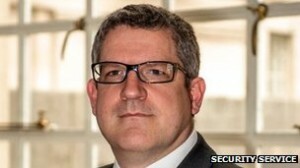 Andrew Parker, the new head of Britian’s intelligence agency MI5 has recently warned that homegrown Islamic terrorists see the public as legitimate targets for attacks. According to Parker, Al-Qaeda and its affiliate in Pakistan and Yemen post the greatest threat to the British public. Parker notes that since 2001 and March of 2013, 330 people have been convicted of terrorist activities in Britain. These included plans to use bomb-filled rucksacks to kill civilians. He is deeply concerned about the Jihadists who have left Britain to fight in Syria. When they return to the UK, they’ll be even more dangerous than they were before. Jihadists, of course, view “infidels” as worthy of extermination by whatever means necessary. They make no distinction between military targets and non-Muslim civilian populations. All infidels are to be killed or enslaved by Muslim dictators. Remember the horrifying incident that occurred in London in May when an Islamist beheaded a British soldier in daylight on a busy city street. He then gave an interview to a civilian about his determination to fight for Islam. Britian can expect more of these attacks until they get tough with the Muslim population.